Not all countries would be the very same, and swimming regulations and rules are changing from one country to one more. Most with the Heated Pools in Worcestershire offer both open lanes for independent swimming and also guided activities like water aerobics or aquabike. Swimia.com desires your feedback to ensure all the info is valid, because maybe this pool is no longer open towards the public. We currently have the following Swimming Pools, but we are always grateful for any corrections or contributions. Get in touch through our contact form. For Worcestershire and its vicinity, we're showing you all the registered Heated Pools in Worcestershire, a few of them have no GPS coordinates and you're not obtaining them at the map. Traveling to Worcestershire? This can be the appropriate spot on the internet to find locations to swim in Worcestershire. Every day you are not swimming you're losing precious time to boost your skills a be a far better swimmer! No alot more excuses!. Holding an estimated population of 29.237, Bromsgrove is one of the most important cities in Worcestershire. Check all the Pool in Bromsgrove and its surrounding area. It's difficult to visit Worcestershire without having dropping by Kidderminster (with 56.657 residents). 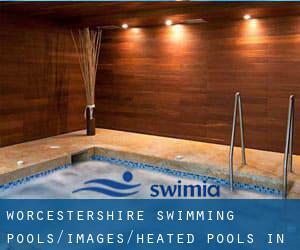 Currently Swimia is showing you all the Pool in Kidderminster and also the closest pools situated in its vicinity. Let us let you know a secret to switch off while you are in Redditch: just choose a Swimming Pool in Redditch and plunge into the water! There's no alot more effective approach. Swimming is a superb idea to keep your body active during your visit to Great Malvern (Worcestershire), or even if you are a local. Swimia helps you to discover your closest Swimming Pool in Great Malvern. Whereas Worcester is one of the six most populous cities in Worcestershire with nearly 100.023 residents, you shouldn't miss that one if you're going to Worcestershire. Without a shadow of a doubt, swimming in Droitwich could be the best way to unwind following work. 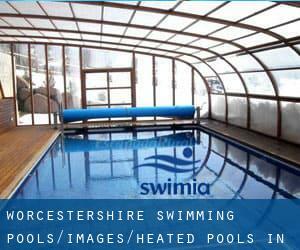 Take a couple of minutes to browse Swimia's catalog to find a Swimming Pool in Droitwich. Updated on 2019 Kyrewood Road , Palmers Meadow , Tenbury Wells , England , UNITED KINGDOM (Postal Code: WR15 8SF). Swimmers like you reported 25 meters x 10 meters, 4 lanes, 0.9 meters - 3 meters depth, 0.9 meters - 3 meters depth, Indoors. Phone number and e-mail address are number for this Swimming Pool. Birmingham Road , Catshill , Bromsgrove , England , UNITED KINGDOM (Postal Code: B61 0JB). This sports center provides 18 meters x 10 meters, Indoors. For this Pool, only phone number is number here. Briar Mill , Droitwich , England , UNITED KINGDOM (Postal Code: WR9 0RZ). Among all of the activities offered by the center, in case you are keen on swimming you will get pleasure from 25 meters x 12 meters, 6 lanes, 1 meters - 2 meters depth, 1 meters - 2 meters depth, Indoors. If you need to contact this Swimming Pool, email address and phone number are both number. Updated on 2019 Kingsley College , Woodrow Drive , Reddich , England , UNITED KINGDOM (Postal Code: B98 7XH). Swimmers like you reported 20 meters, 4 lanes, Indoors. Phone number and e-mail address are number for this Swimming Pool. Updated on 2019 School Drive , Bromsgrove , England , UNITED KINGDOM (Postal Code: B60 1AY). Swimmers like you reported 25 meters, 6 lanes, Indoors. Phone number and e-mail address are number for this Pool. Berrington Green near St. Michaels , Tenbury Wells , England , UNITED KINGDOM (Postal Code: WR15 8TQ). This sports center offers 16 meters x 6 meters, Indoors. Contact data for this Swimming Pool for instance phone number and e-mail address are number. Weavers Wharf , Kidderminster , England , UNITED KINGDOM (Postal Code: DY10 1AA). Among all the activities supplied by the center, for anyone who is interested in swimming you will appreciate 20 meters x 9 meters, Indoors. Just in case you desire to make contact with this Pool before dropping by, we only know the phone number. King Georges Way , Pershore , England , UNITED KINGDOM (Postal Code: WR10 1QU). Among all of the activities supplied by the center, if you are keen on swimming you will appreciate 25 meters x 11 meters, 5 lanes, 1 meters - 1.8 meters depth, 1 meters - 1.8 meters depth, Indoors. If you'll want to contact this Swimming Pool, e-mail address and phone number are both number. Updated on 2019 Priory Road , Malvern , England , UNITED KINGDOM (Postal Code: WR14 3DS). Swimmers like you reported 25 meters, 6 lanes, Indoors. Phone number and e-mail address are number for this Swimming Pool. Slideslow Drive , Bromsgrove , England , UNITED KINGDOM (Postal Code: B60 1GJ). Swimmers like you reported 25 meters x 12 meters, Indoors. Unfortunately we do not have the e-mail address of this Swimming Pool, but we can give you the phone number. Habberly Road , Bewdley , England , UNITED KINGDOM (Postal Code: DY12 1LJ). Swimmers like you reported 25 meters x 10 meters, Indoors. Unfortunately we do not have the email address of this Swimming Pool, but we can give you the phone number. Updated on 2019 Sansome Walk , Worcester , England , UNITED KINGDOM (Postal Code: WR1 1NU). Swimmers like you reported 25 meters x 12.5 meters, 6 lanes, 1.5 meters - 2 meters depth, 1.5 meters - 2 meters depth, Indoors. Phone number and e-mail address are number for this Pool. Abbey Road , Evesham , England , UNITED KINGDOM (Postal Code: WR11 4SU). This sports center gives 25 meters, 5 lanes, Indoors. Contact information for this Pool similar to phone number and e-mail address are number. Harold Davies Drive , Stourport - on - Severn , England , UNITED KINGDOM (Postal Code: DY13 0AA). This sports center offers 25 meters x 12.5 meters, 5 lanes, 1 meters - 1.9 meters depth, 1 meters - 1.9 meters depth, Indoors. For this Swimming Pool, only phone number is number here. Birmingham Road , Reddich , England , UNITED KINGDOM (Postal Code: B97 6EJH). Swimmers like you reported 25 meters, 5 lanes, Indoors. Phone number and email address are number for this Pool.